In March 1999 Murchison residents were invited by the Tasman District Council to share their vision for the future of Murchison. At the top of the list of responses was a sporting and community centre. 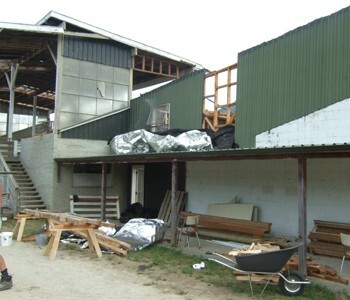 The current Murchison sports rooms were pieced together, literally, over time. The grandstand was built in 1955. In 1957, the former Longford School was relocated to the Murchison Domain and made into the rugby clubrooms. In 1981 the old Murchison school hall was joined on to become Aorangi Hall and used as a community centre. The existing buildings were dilapidated, and replacement of the buildings with a new purpose-built centre was deemed to be the most practical solution. Murchison Sport, Recreation and Cultural Centre Inc was established December 2002 in order to represent the community and to drive the process. 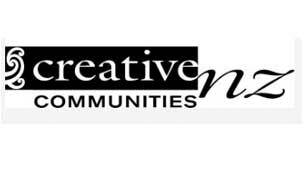 The results of a feasibility study, concept plans, a draft timeline and preliminary budget were presented to the community at a public meeting March 2005. With the overwhelming support of the Murchison community, the committee pledged to raise 20% of the project cost in order to secure an 80% capital grant from Tasman District Council. Designs were then prepared and tenders called. 10 September 2007 was the official “turning of the sod” at the site and a final farewell to the old grandstand and buildings. 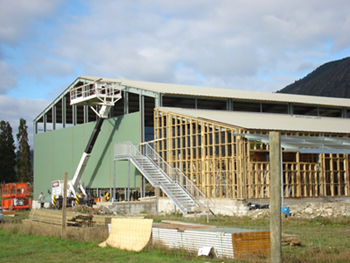 Once construction commenced, volunteers spent their weekends removing old horse pens and fencing; erecting new fencing; picking up stones off the rugby ground prior to it being re-sown; spraying grass; mowing the grounds; removing sheep pens; felling trees; driving piles; trucking and freighting goods up and down from Nelson, and sorting, stacking and sawing timber. Events and activities were a continuous source of income towards the project. The Committee co-ordinated a number of successful flat track and laidback motorcycle events and a 4WD trip up the Matakitaki-Glenroy Valley. A number of barbeques were organised at local events and the committee provided catering at the 2006 and 2007 BullerFest and the Department of Conservation’s 50th anniversary function. A general goods auction was held October 2006 raising $4,500, and a major raffle was conducted with a $10,000 quad bike as the first prize. An Evening with Anna Scarlett was the fundraising highlight for 2007. Anna was the first Silver Fern from Karamea, so she well understood the difficulties of fundraising in small rural townships, and her help with the evening raised over $8,000. The Buller River Mural sponsorship programme enabled individuals, families, local groups and businesses to make donations towards the Centre and have their name recorded for posterity within the Centre. The Buller River mural, which is over 15 metres long and features aerials photographs of the Buller River, memorialises everyone who contributed towards the Centre. It is a tribute to the spirit and can-do attitude of this small rural community. But the fruit of their labour has paid off. The committee and community raised $1 million and they have a $3.5 million sport and community centre to show for it which was officially opened 27 September 2008.